LOS BAÑOS, Philippines – “I’ve always thought of the partnership between the Netherlands and IRRI as a long-term investment in rice research. But IRRI’s work is far broader than I anticipated,” said Marion Derckx, the Ambassador of the Netherlands to the Philippines, during her visit to the International Rice Research Institute (IRRI) headquarters on 3 February. Derckx was impressed by the scope of IRRI's work, which includes not only breeding rice varieties but also running projects that align with the UN's Sustainable Development Goals on ending poverty and hunger and ensuring health for all. As such, Derckx commended IRRI for its accomplishments. She also expressed the need for a stronger partnership between the Dutch government and IRRI, which started way back in 1971. Since then, the Netherlands has contributed more than USD 12 million in support of IRRI’s projects. Derckx and party were received by Matthew Morell (at right in photo), IRRI director general, as well as Bas Bouman, director of the Global Rice Science Partnership (GRiSP), and Marco van den Berg, chief information officer, both Dutch nationals in key leadership roles at the institute. 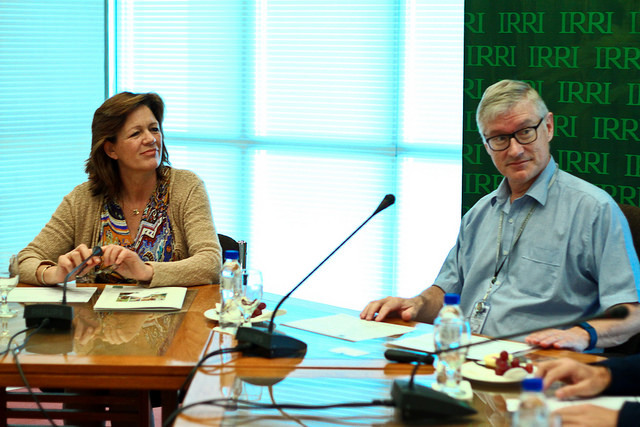 During their meeting, Morell gave the ambassador an overview of IRRI’s ongoing projects and showcased the Netherlands’ contribution to rice research. 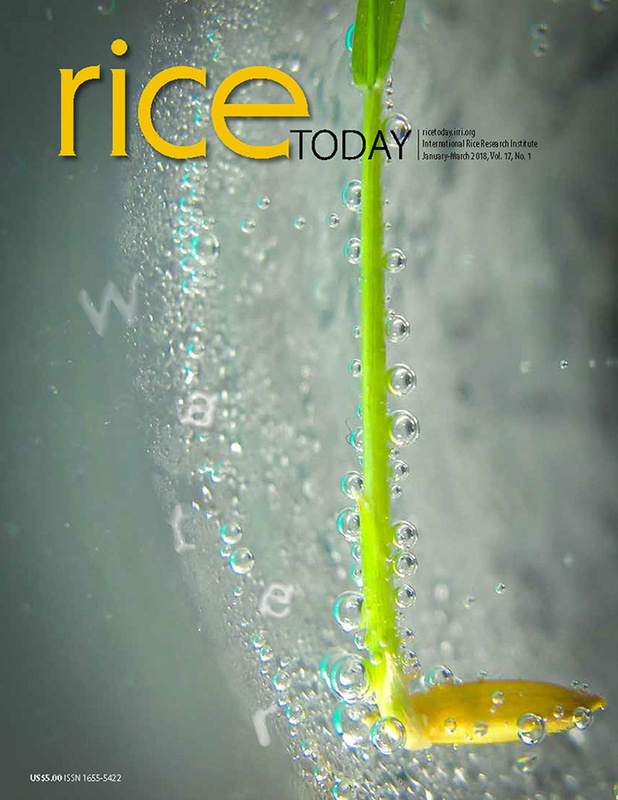 One project is Simulation and systems analysis for rice production (SARP). SARP established a network of national agricultural research centers and universities to build research capacity for systems analysis and simulation modeling in developing countries. It has been supported by IRRI, the Centre for Agrobiological Research, and the Wageningen Agricultural University. During their visit, the Dutch delegation had a chance to tour the International Rice Genebank and interact with IRRI scientists.